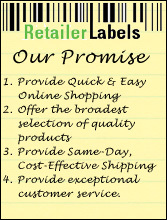 Reb-113 Fluorescent Red/Black "Sale" 1110® Labels. Each sleeve contains 16 Rolls of 1,063 labels and one ink roller. You receive 17,000 labels per sleeve. Customers who shopped for this product also shopped for these products.